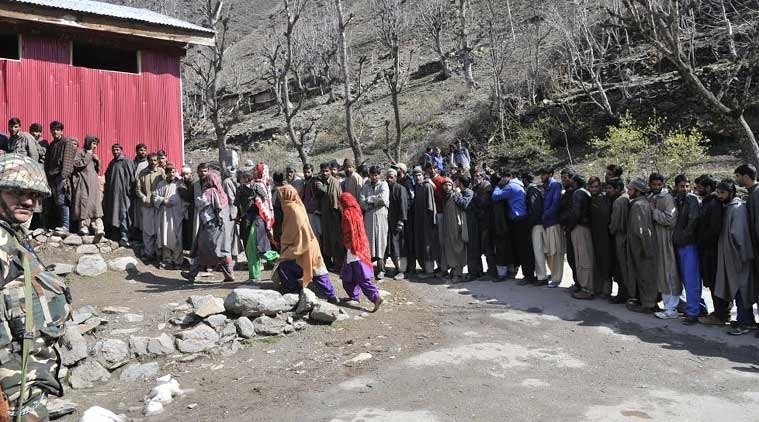 Will Locals Participate in Panchayat Polls in Kashmir? While the PDP and NC have announced a boycott of the elections, locals claim that they are trapped between the political parties and militants. The upcoming local body elections in the strife-ridden state of Jammu and Kashmir are likely to be deferred after two major regional political parties, the People’s Democratic Party (PDP) and the National Conference (NC), announced a boycott citing the protection of Article 35A- a constitutional provision that defines the “permanent residents” of the state- as the reason behind the decision. Unlike the rest of the country, the electoral process in the valley has always been primarily dependent on the prevailing security situation on the ground. Therefore, the political parties have to take into account the mood of the local population. While the local political parties are claiming that they will not contest in the upcoming elections until the Centre clears its position on safeguarding the Article 35A, the security situation on the ground, too, remains a deterrent. For instance, despite a unanimous call for boycott by separatists, the legislative elections in 2014 were held against the backdrop of declining incidents of violence – this was shown by the political parties as a proof of willingness of the Kashmiris to participate in a democratic setup. But this time, the situation has turned around and the political parties have lost their ground heavily in their own bastions. “We don’t want to vote or participate in any electoral process. The last time we voted for PDP, there was a hope that the peace process might start, and some restoration will be done. But now, we feel we are better without elections. Everyday our youth are being killed and they want us to participate in the election, so that we give them another chance to play with our lives. Be it local polls or legislative assembly elections, we are not willing to participate. Boycotting elections is our only wish. I don’t think anyone from south Kashmir will vote if elections are held,” said Tariq Sheikh from Pulwama in south Kashmir. While deciding to stay away from the local polls, PDP in its resolution had said, “It was felt that any attempt to impose any electoral exercise in the current atmosphere of fear and apprehension would erode the credibility of the process and intuitions. It would defeat the very purpose of it.” Moreover, the commentators also believe that people in Kashmir are very angry with the local political parties and any talk of “election” might result in massive bloodshed in the valley. They also believe that currently, there is ‘no space left to propagate the idea of Jammu and Kashmir as an integral part of India.’In the last two and a half years of the BJP-PDP coalition in action, over 300 civilians and more than 450 militants were killed. “If local body elections happen, I won’t participate in the electoral process because in the last two years there have been many cases of killings and violence. Not participating in the elections is my way of showing resentment. Narendra Modi had said there will be ‘no terrorism but tourism’, but did otherwise. People here have been discussing that it’s better to boycott elections because both PDP and NC have been a failure. And we don’t expect anything from Centre. Centre has even been conspiring to revoke Article 35A. We gave them a chance but, now, no more,” Mir Saqib from Srinagar told Newsclick. Besides, fear of getting killed has also been one of the reasons behind the non-participation of Kashmiri populace in the electoral process. “First, we are not happy with any of these political parties. The Sarpanchs after getting elected look after their house and their own money matters. Nobody comes to us. Second, we fear that whoever will vote will be killed by the militants; we are sandwiched between the political parties and the militants, we don’t have a life of our own,” said a man from south Kashmir, on condition of anonymity. A Jammu and Kashmir Police report last August revealed that 327 militants are active, among which 211 are locals and 116 are foreigners. The report noted that 166 local militants are active in four districts of south Kashmir itself, as reported by Firstpost. Meanwhile, recent abduction of relatives of militants and policemen in the southern districts of Kashmir has shaken the situation in the valley. As per sources, security forces are working on ways to train and deploy more security forces to get hold of the situation in the valley. Even though the Panchayat polls were seen as an opportunity by the mainstream parties to restore their lost ground, however, the frequent outburst of violence in the past few months after the fall of the PDP-BJP coalition has changed the situation and it seems difficult for the state to undergo a peaceful electoral process.